SilverStone recently released a couple of new fans, the SST-FM and SST-FN series. The first series features adjustable fan speeds while the latter ones have fixed fan speeds. In this review I'm taking a closer look at the high-performance SilverStone FM123 120mm fan which comes with a small fan controller that allows you to adjust the fan's RPM. 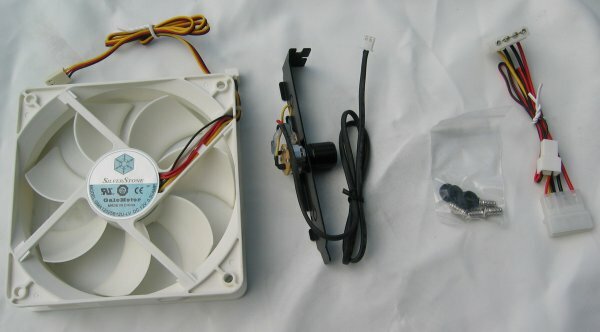 Inside the package you can find the 120mm fan, a simple fan controller, a 3 to 4-pin power adapter and a small plastic bag with fan screws and rubber washers. This is one of the first fans I've seen which includes rubber washers - these need to be put between the fan and the case in order to reduce vibrational noise. 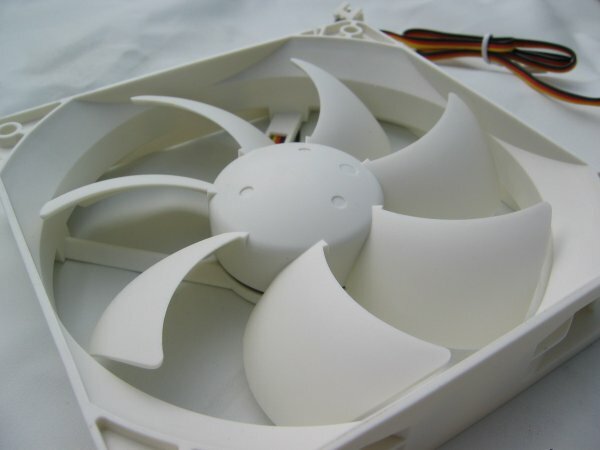 The fan is made out of white plastic and SilverStone says the fan rotor has a Bullet Hub design which allows aerodynamic airflow toward the fan blades. White isn't really a commonly used colour for fans - most fans I've had in my hands were black - but it looks alright. On the photo you can also see the 3-pin fan connector and another connector which is used by the fan controller. 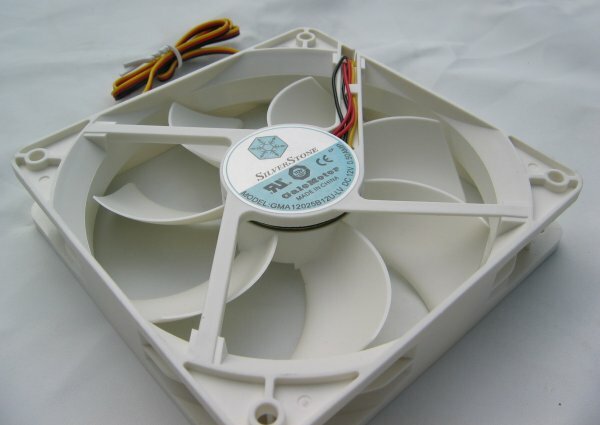 The sticker on the fan indicates it was manufactured in China by GaleMotor (Glacial Tech). One of the most special features of this fan is the included fan controller. It's black and fairly simple. The bracket needs to be installed in a PCI expansion slot and offers room for two more fan control knobs from SilverStone's FM-series fans. 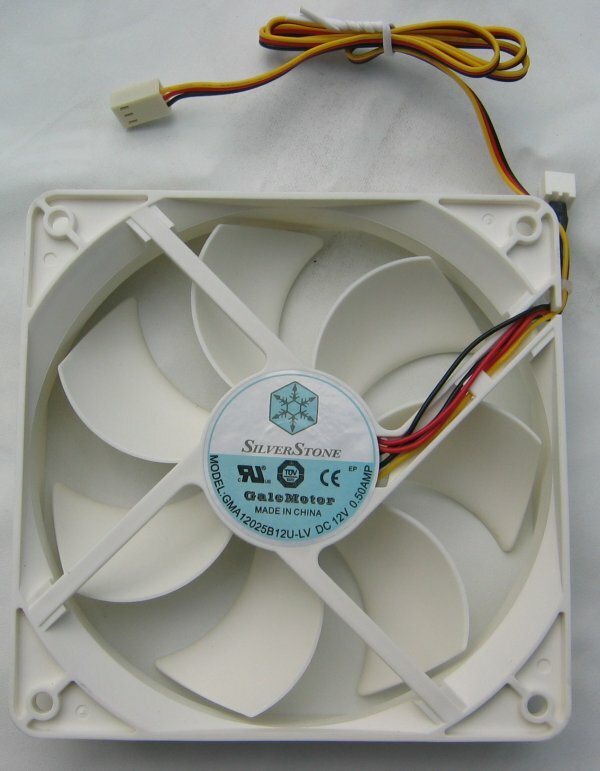 The fan controller allows you to change the voltage of the fan from 6-7V to 12V and also allows you to turn off the fan. It's pretty easy to use if you can easily access the rear of your computer. The installation of a fan is pretty easy of course. To test the FM123 fan I installed it as the rear exhaust fan in my Cooler Master Cosmos case. First I installed the fan, then I put the fan controller in an empty PCI bracket and then I connected all the cables. 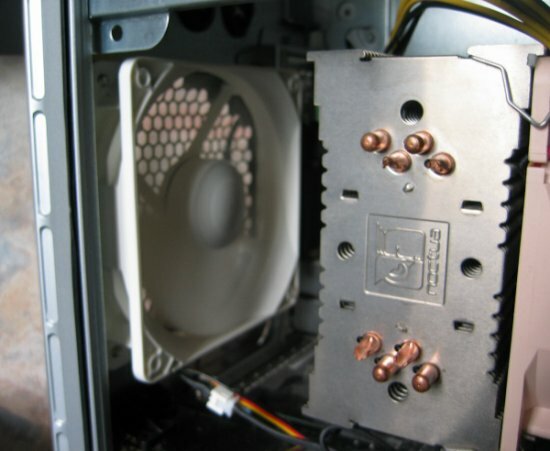 The SilverStone FM123 is a very nice cooling solution for computer enthusiasts. 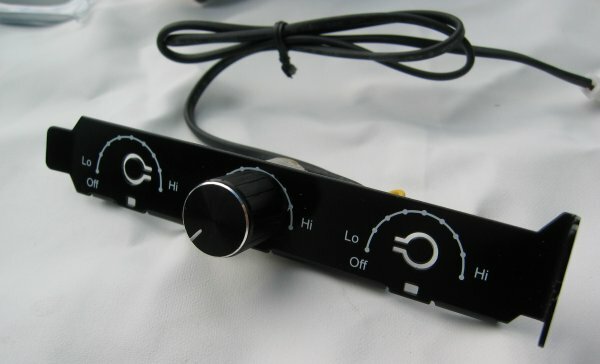 The product ships with a small fan controller which allows you to change the RPM of the fan from about 900RPM up to 2600RPM and it's also possible to turn the fan off. At 900RPM the fan is really quiet but it still offers a good airflow, according to the specifications it's 40.7CFM at a noise level of only 17.5dBA. You can turn the knob to the right until the fan reaches it's max speed of 2600RPM. At that speed level the fan pushes a massive amount of air (106.3CFM) but has a noise level of 39.5dbA. That's really a lot of noise but with this fan that's not really a problem. The fan controller allows you to choose the airflow/noise ratio you want. 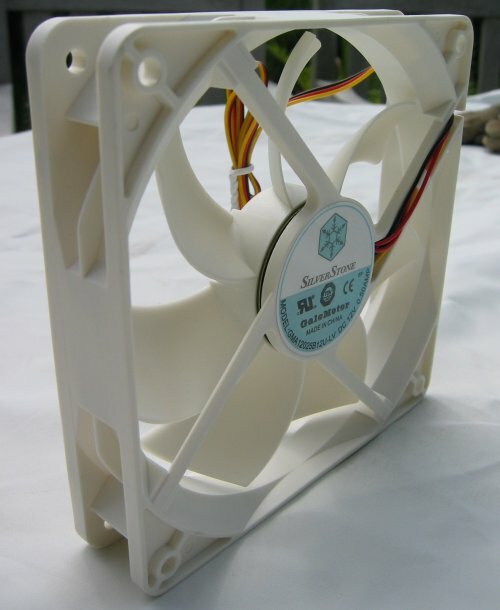 When you're doing work or watching a movie you can make the fan almost dead silent but when you're trying to improve your overclocking record you can turn it into a very high-performance fan that moves up to 106.3CFM! 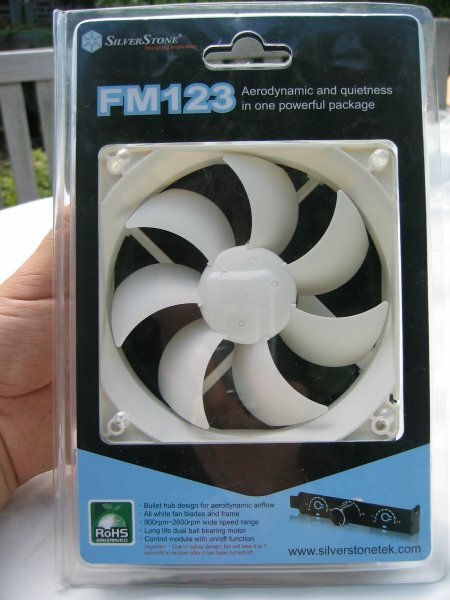 The SilverStone FM123 is a nice fan which won't disappoint you. You can find it in stores for about 12EUR ($17). 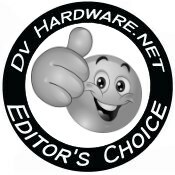 I give the SilverStone FM123 120mm fan a 9/10 and our Editor's Choice award. I just did some noise tests with this fan. When the fan is deactivated the noise level of my system is about 40dBA, taken from a 1m distance. At low speed the noise level readings barely increase but when the fan is spinning at max speeds the noise increases to 48dBA. Thanks for the review, nice photos, but a little more thorough testing and info on the results would be helpful.